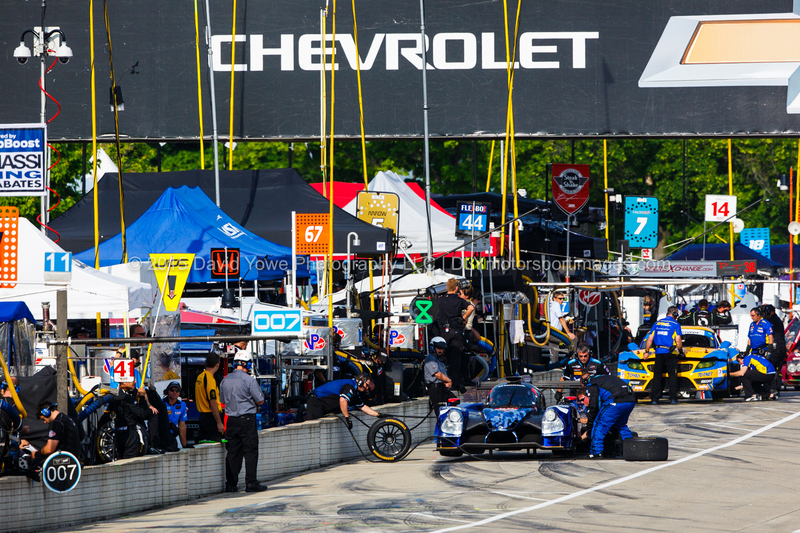 The Tudor United SportsCar Championship (TUSCC) prototype and GTD class cars were at Detroit Belle Isle for the Chevrolet Sports Car Classic. Eric Curran and Dane Cameron in the #31 Action Express Racing Corvette was the overall and P class winner. 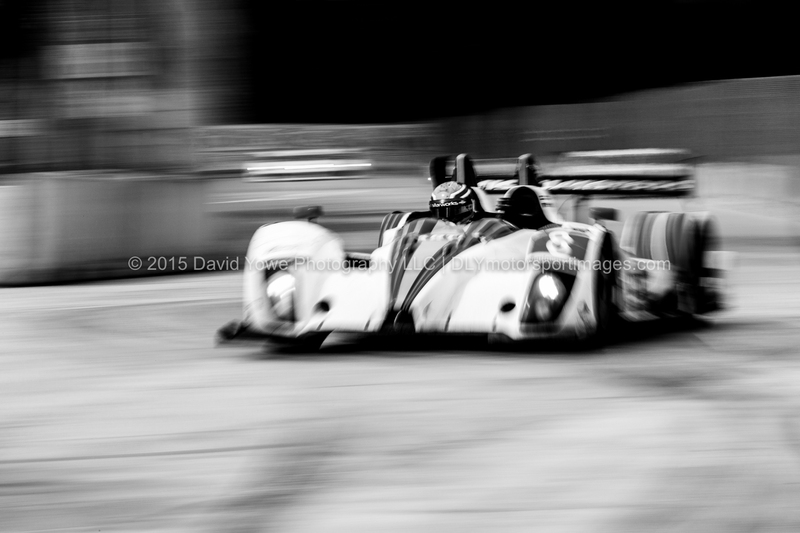 PC class was won by Renger van der Zande and Mirco Schultis in the #8 Starworks Motorsport ORECA FLM09. Ian James and Mario Farnbacher in the #23 Team Seattle/Alex Job Racing Porsche 911 GT America won GTD class. 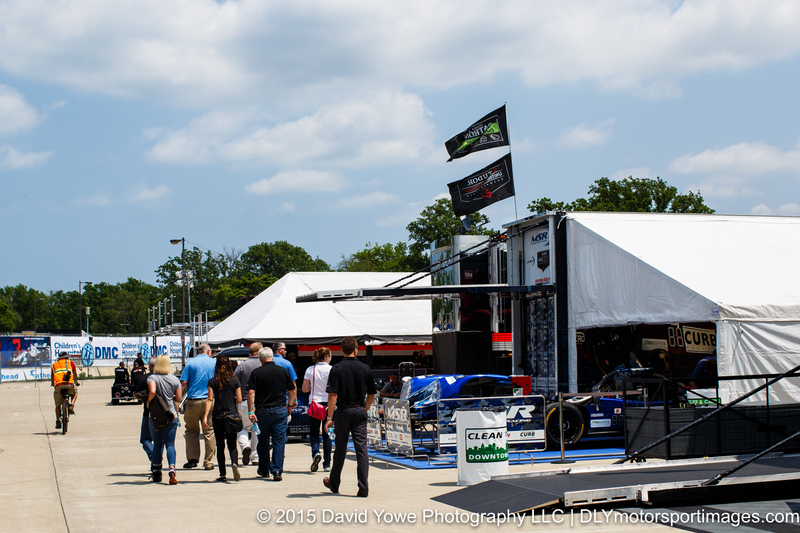 Here’s a photo story on the paddock, practice and qualifying sessions that led up to the race. Hope you like the photos. 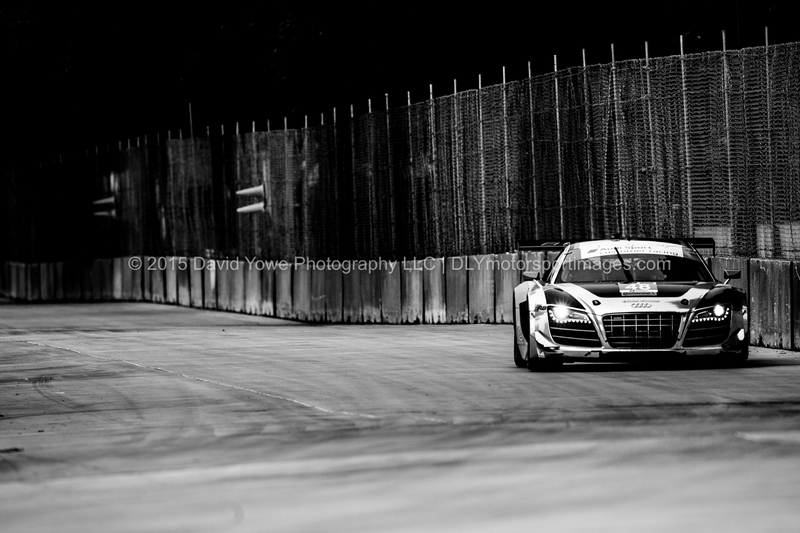 First up are some shots from my paddock walk. 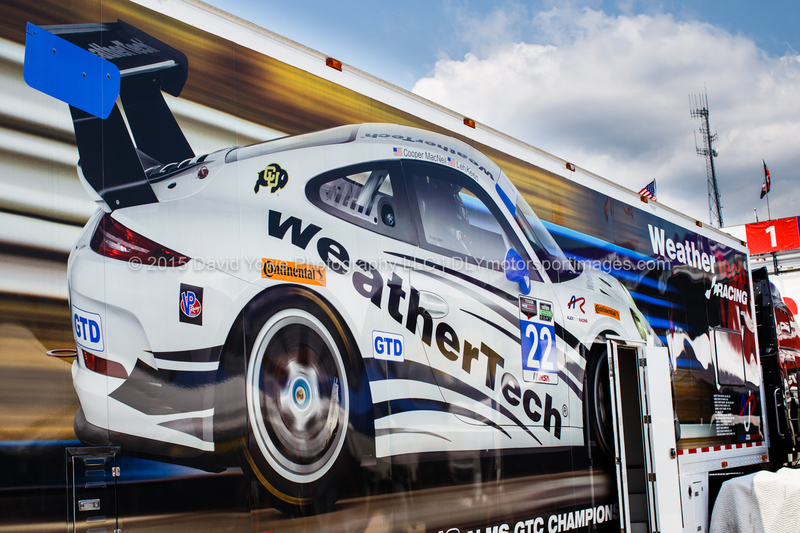 Really liked the livery on the side of the WeatherTech Racing team trailer. 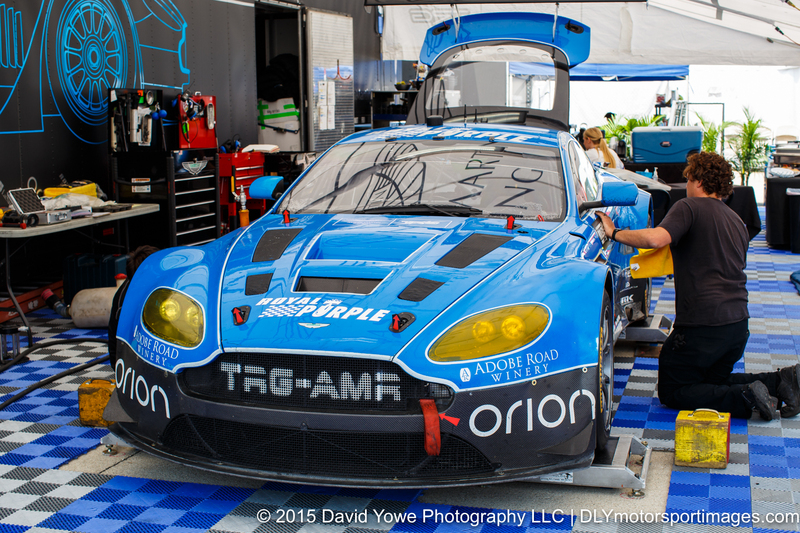 The #007 TRG-AMRAston Martin V12 Vantage being worked on by the crew. 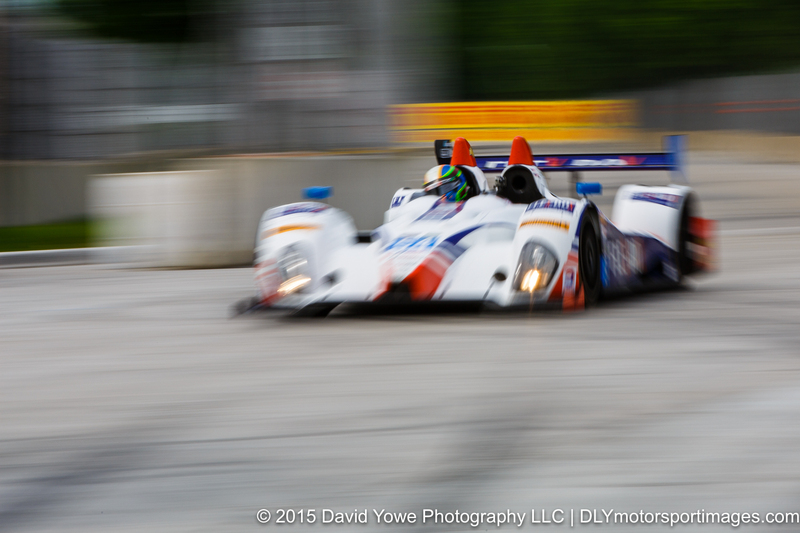 Was really cool to see all the carbon-fiber underbody work on the #52 PR1/Mathiasen Motorsports ORECA FLM09. 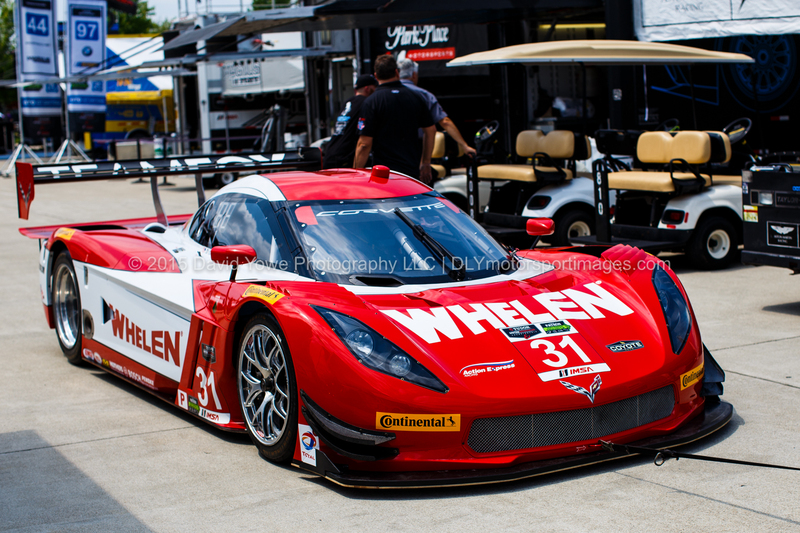 The #31 Action Express Racing Corvette DP. 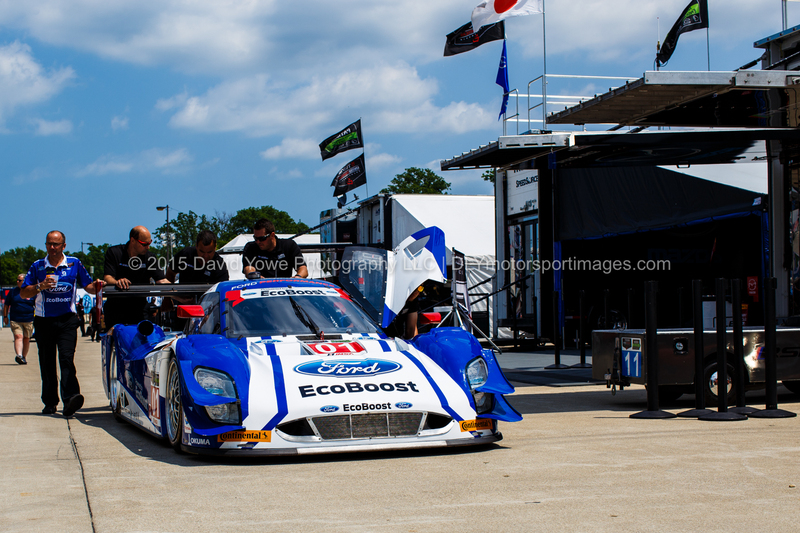 The #01 Chip Ganassi Racing Riley DP being pushed through the paddock. 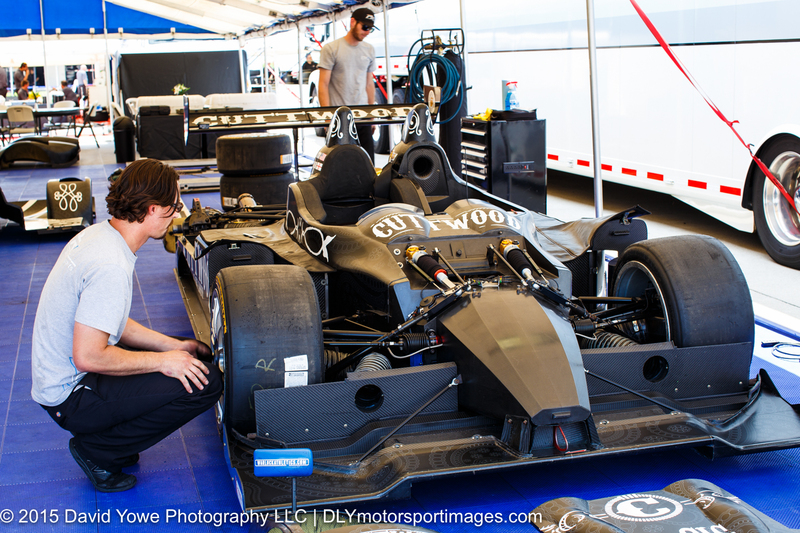 The teams were busy in pit lane preparing their cars for the Friday morning practice session. 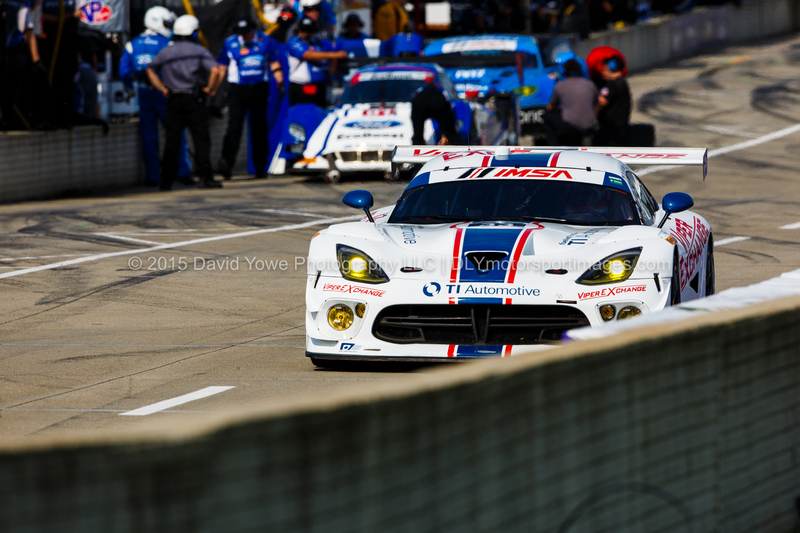 Along the pit lane wall with the #33 Riley Motorsports Dodge Viper SRT. 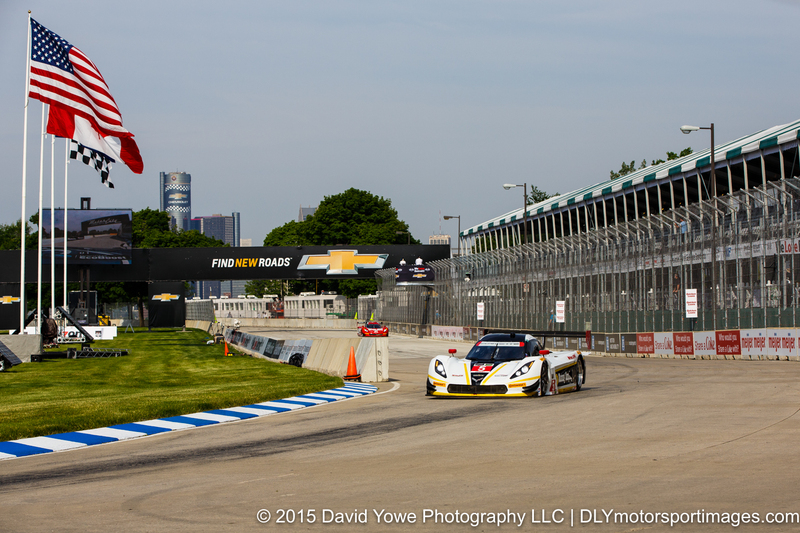 The American Flag flew proudly over Turn 1 as the #5 Action Express Racing Corvette DP sped past. 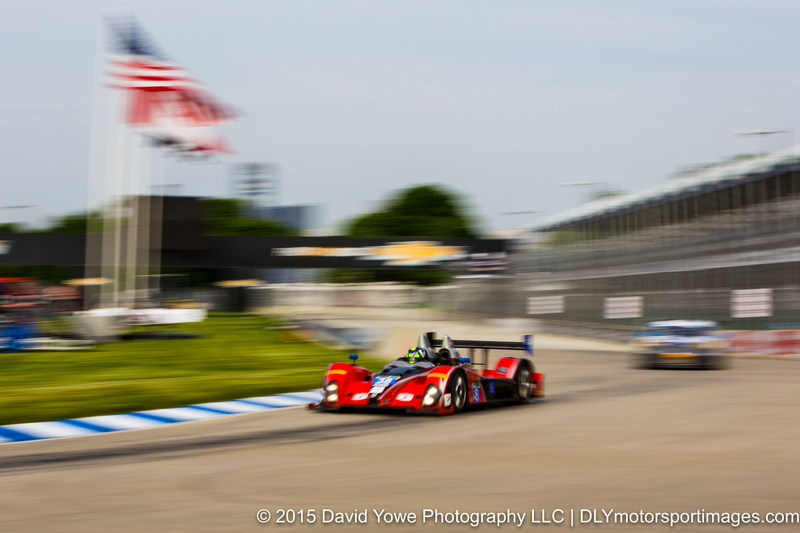 The red livery of the #38 Performance Tech Motorsports ORECA FLM09 matched the “red, white, and blue” of the American Flag. 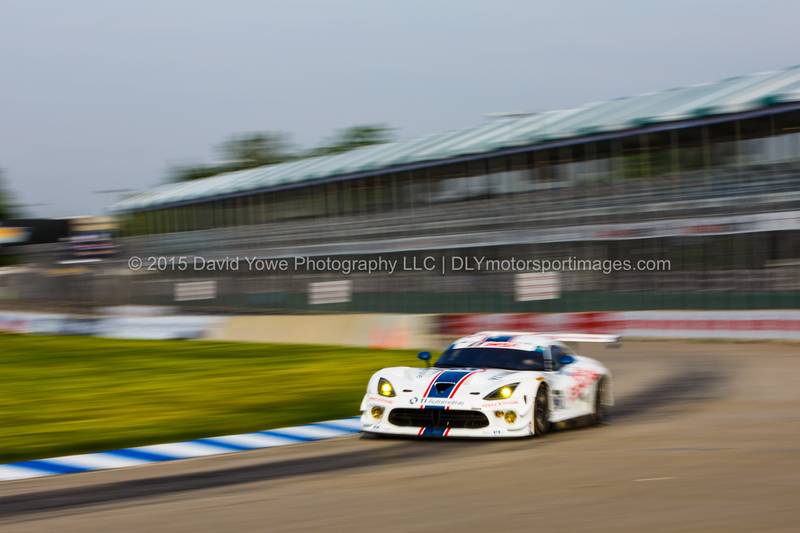 Speeding through Turn 1 with the #33 Riley Motorsports Dodge Viper SRT. 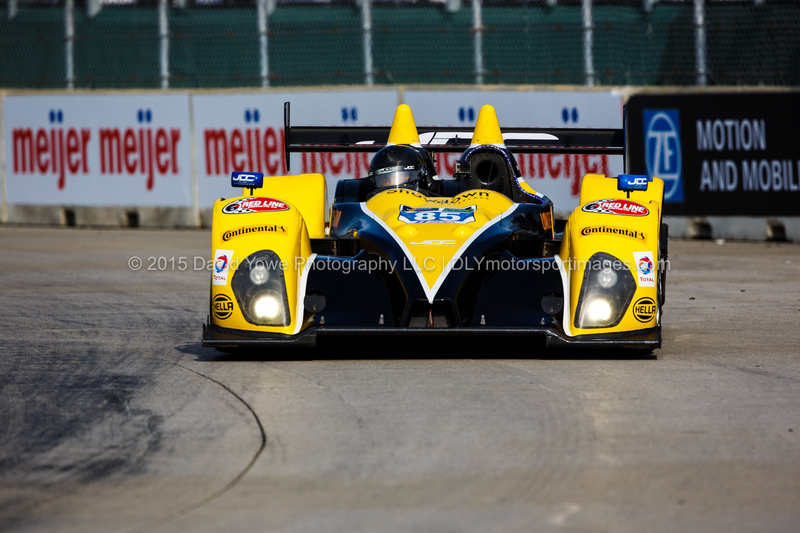 “Head-on” into Turn 1 with the #85 JDC/Miller Motorsports ORECA FLM09. 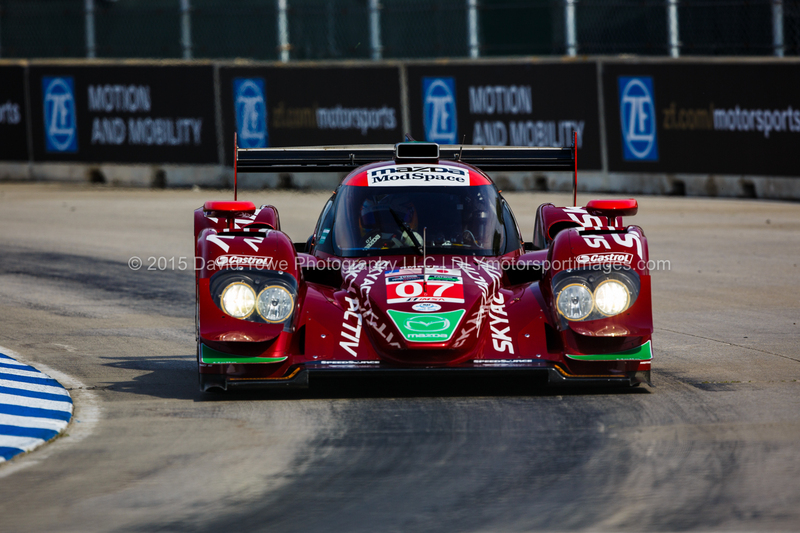 Into Turn 1 with the #07 SpeedSource Mazda Mazda. 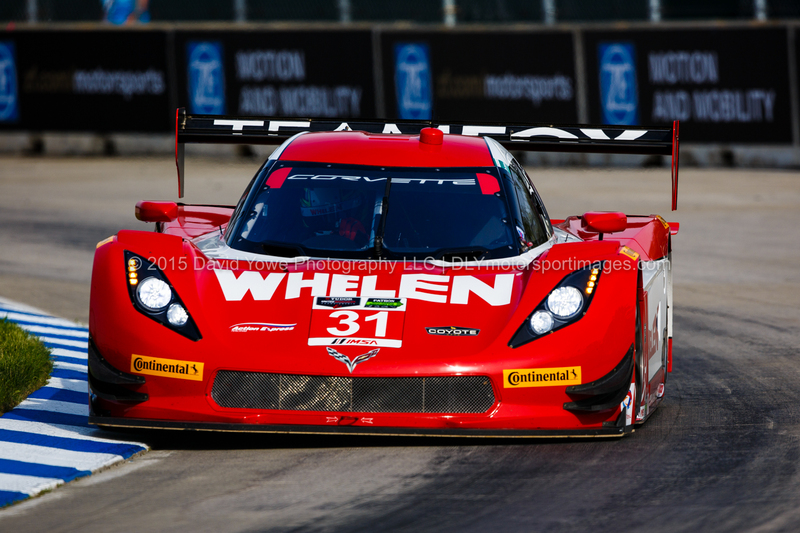 Up close with the #31 Action Express Racing Corvette DP. 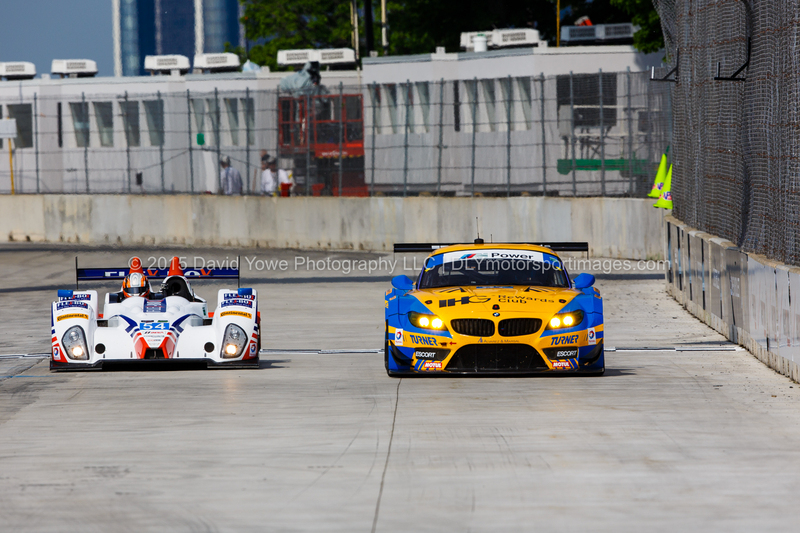 PC versus GTD on the front straight with the #54 CORE autosport ORECA FLM09 and #97 Turner Motorsport BMW Z4. 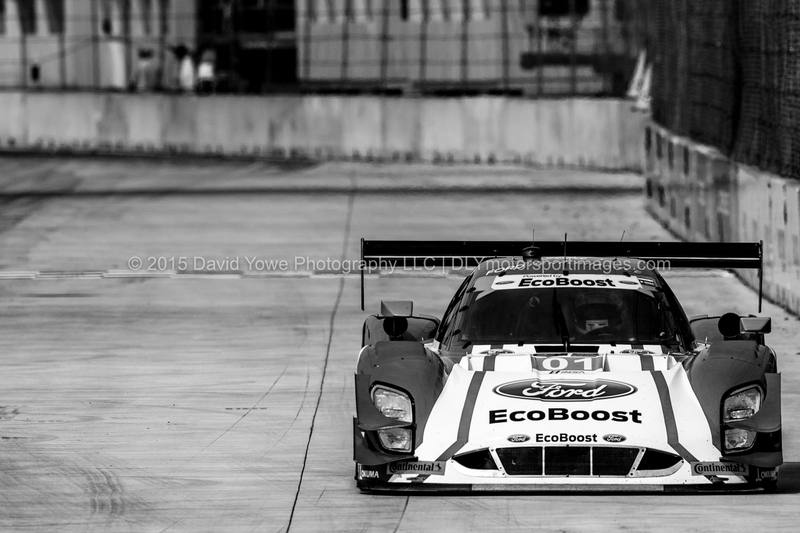 “EcoBoost” with the #01 Chip Ganassi Racing Riley DP. 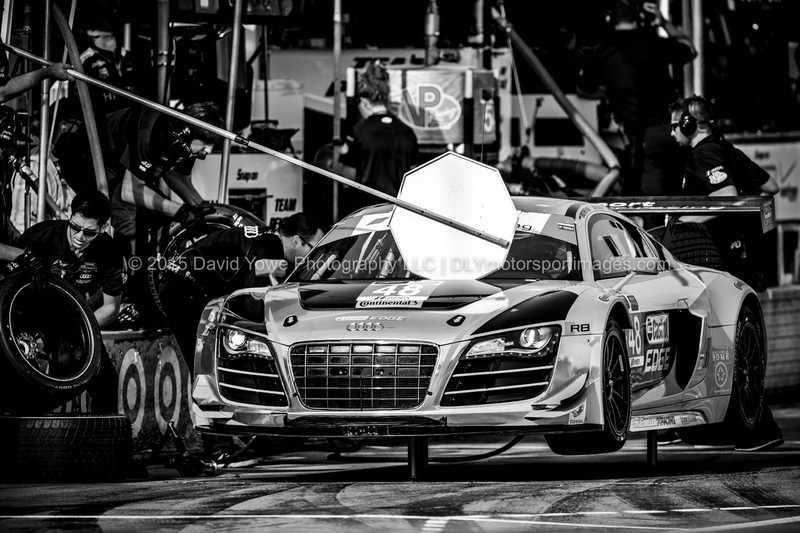 “Audi along the wall” with the #48 Paul Miller Racing Audi R8 LMS. 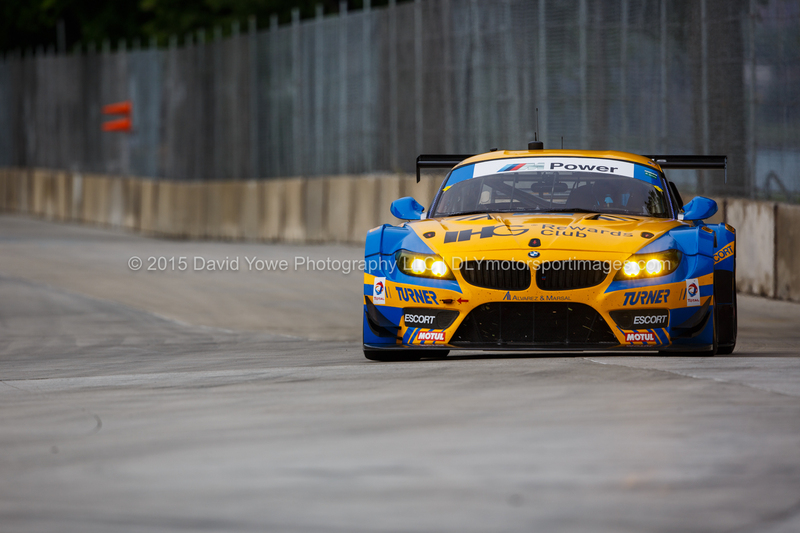 “Bimmer” with the #97 Turner Motorsport BMW Z4. A couple of “artsy” shots with the #54 CORE autosport (top) and #8 Starworks Motorsport ORECA FLM09s.